Rarely does it happen that something of this quality and genre-related flies so low under my radar that I completely overlook it. Well, it did happen this time but thanks to a very dear friend who recommended it to me I watched the first two seasons in one sitting and was left with quite an impression. Thank you O. 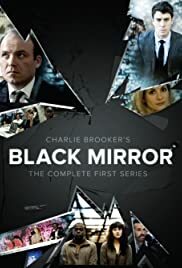 Black Mirror is created by Charlie Brooker and the first two seasons consist of 6 episodes in total. Each episode is a separate story with different actors. In this, it is reminiscent of the old series that I loved to watch - The Twilight Zone. I do not know if the young know about this series but it was one of the greatest genre shows and it is good to see that the format is still vital and that it withstood the test of time in this new incarnation. The common thread that connects the episodes is the impact of the modern technology on everyday life, with moral, ethical, economical, emotional, political, social and various other implications. The quality of the production is very high, as well as the writing and acting. The tone of the series is rather serious, probably due to the issues tackled, but there are no blatant moral messages. While some episodes just make you think about the certain aspects of our near future, some are downright unsettling. The episode that deals with the young woman who wakes up without memory, and soon finds out that she is being hunted by masked vigilantes while other people just look and record her with their smart phones left the strongest impression on me. As the rest of the series, this episode is essentially about human nature. I was reminded of the public executions when people cheered at the sight of torture and severed heads. One would think that empathy would be more present in advanced societies, but all it takes is to look at the comment sections online and see that same old thirst for blood. It is supposed to be for justice but it looks more like just base rage and fury. When I was younger, as an avid reader and viewer of all things SciFi, I thought that technology would solve the majority of humanity’s problems and bring it very close to the utopia similar to that depicted in the Start Trek universe. What I disregarded was the fact that the humanity in the Star Trek universe had to go through some very dark times to reach the enlightenment shown in the series. Looking at the world of today, I am afraid that those dark times are upon us. 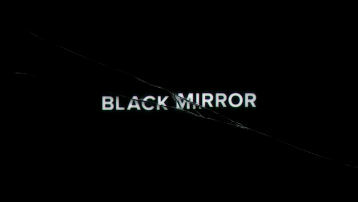 Those are the kind of thoughts and emotions that the episodes of the Black Mirror provoke. The mirror shows us the dark side of human nature augmented and made visible by the new technology that is creeping its way into all pores of our lives. It is here to stay, and we should be cautious about it because if we use it too much, it will start using us and I do not think that we will like the outcome. The third season of the show has already been filmed and I am looking forward to watching it. Black Mirror deserves the highest grades for each and every element, and I could not recommend it more. However, if nitpicking is allowed, the only shortcoming in my opinion stems from the very format, which does not allow a story or characters to develop over a longer span of episodes, thus making the viewers more emotionally invested and attached to the series.